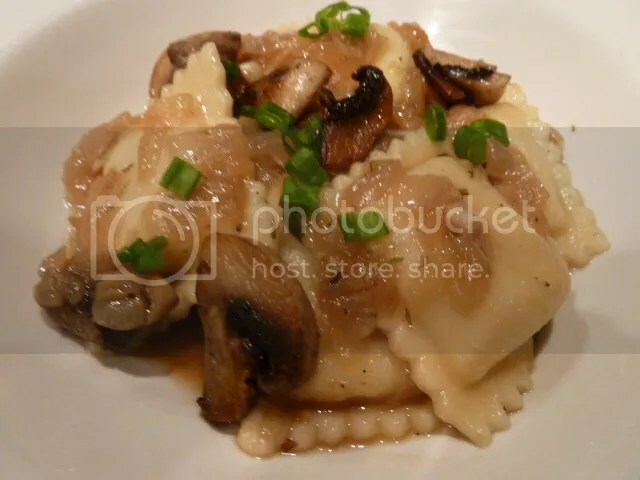 The fall flavors of this dish are wonderful. It is a meatless dish but very filling. I came up with this recipe, wanting a sauce that was not tomato or cream. Dice onion into small pieces. 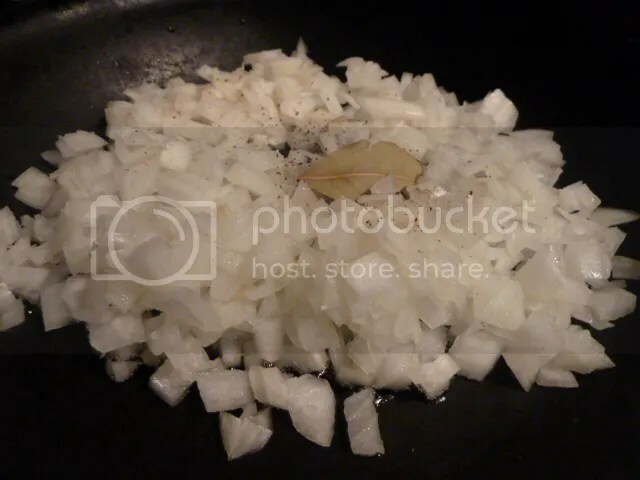 Heat skillet on medium heat, add 2 tablespoon butter add onions, thyme, salt,pepper, bay leaf, and sugar saute on medium low heat for 20 minutes, stirring often. 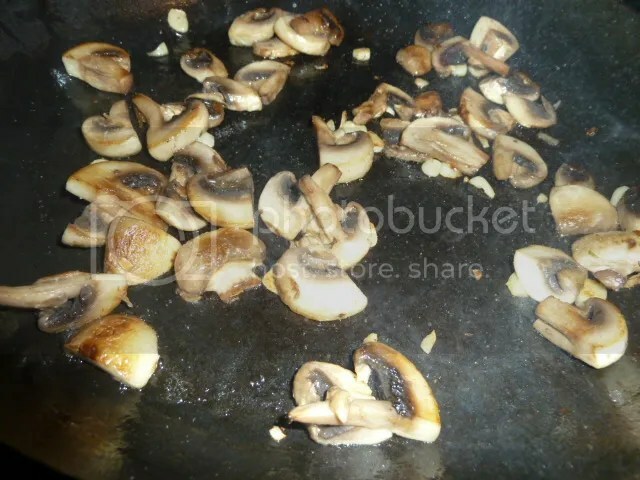 Slice mushrooms. 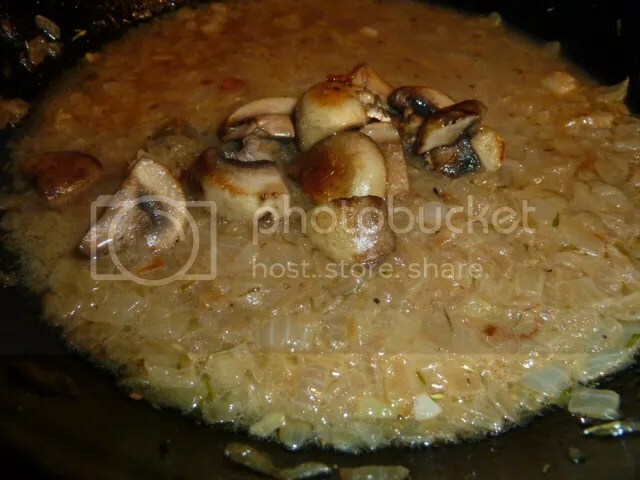 Heat another skillet to high heat add mushrooms and garlic. Stir fry for 6-8 minutes. add to onions. Add beef bullion, flour and water mixing very well bring to a boil. 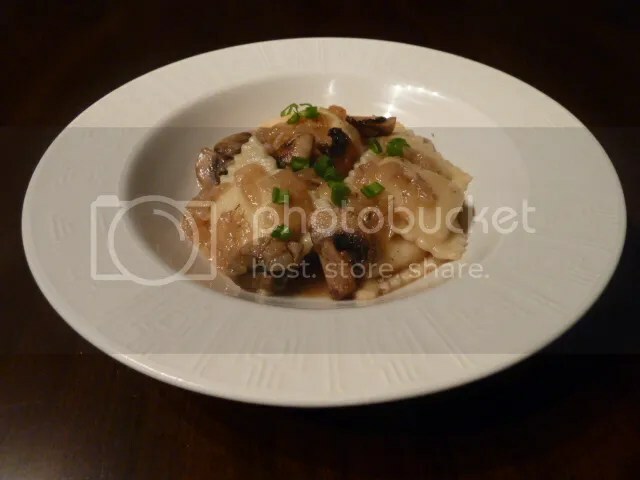 Bring salted water to a boil, Add ravioli bring to a boil. Boil for 4-5 Minutes or take one out and taste if done.